If you have this 1 serious golf swing fault it could be costing you…. Consistency – fat shots, topped shots, thin shots, toe/heel shots, sky shots, shanks etc. Accuracy – slice, pulls, pushes, hooks etc. So if you suffer from any of these problems…. 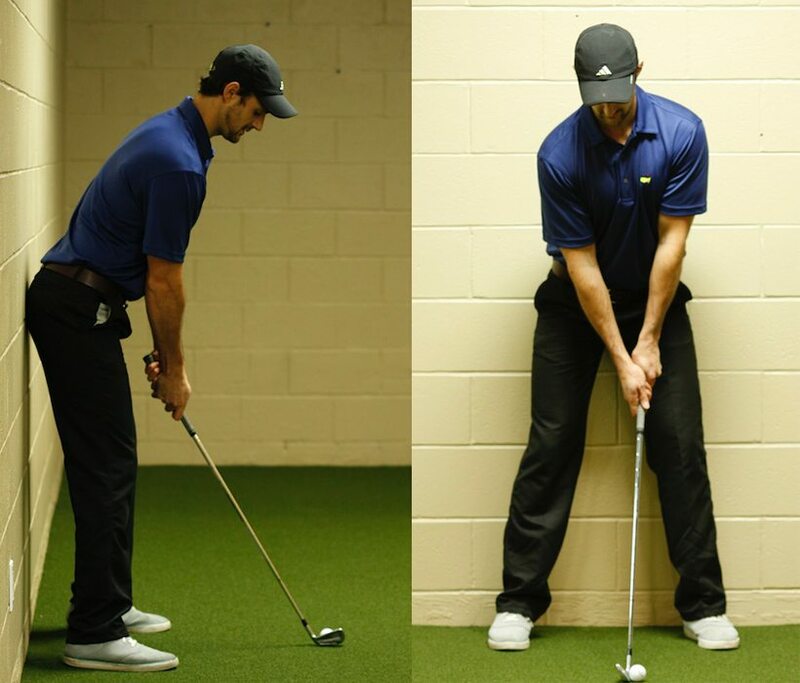 Now start your backswing as your normally would and notice where in your backswing you hit the wall. For this test to be accurate you must try to swing back as close how you normally would. So DON’T try and avoid hitting the wall. 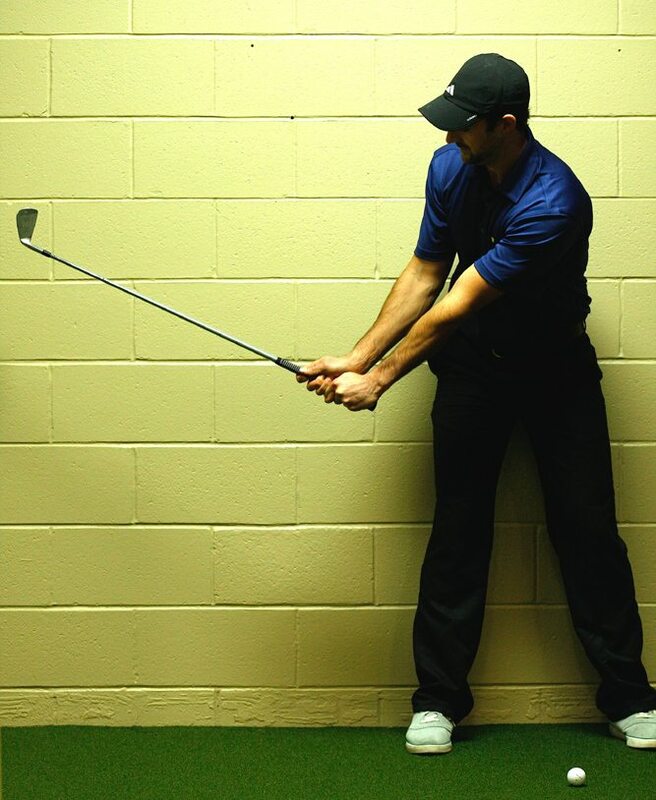 Instead, make your normal backswing and see where you hit the wall. If you have trouble doing this try doing this test with your eyes closed and open your eyes once you hit the wall. So go and complete this golf swing test now and then come back here when you’ve done it because there’s a certain point in your backswing where you SHOULD hit the wall. To find out where that point is (and why) along with information on whether you passed the test or not simply put in your first name and primary email address in the form below and click the ‘Get Swing Results Now’ button. I will then send you some crucial information about your results and whether or not you have a serious swing fault that is costing you accuracy, consistency and distance – remember, it could be up to 50 yards.